Our St. Patrick's Day Concert Tickets Have Sold Out! 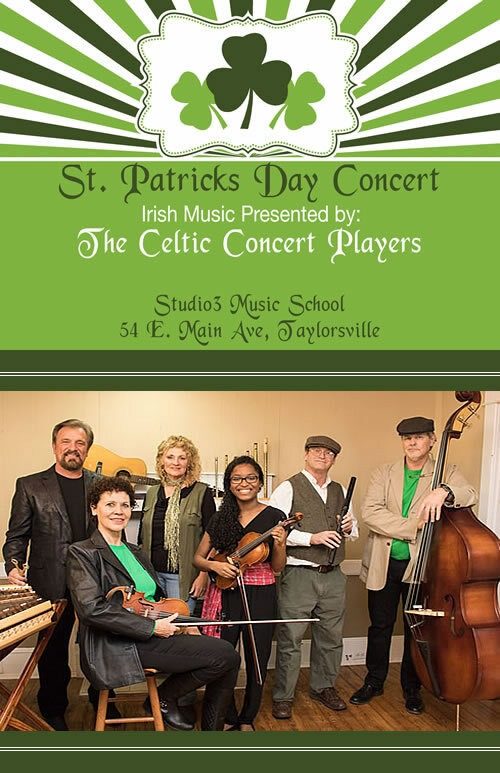 Come and celebrate with the Celtic Concert Players at Studio3 in Taylorsville. Enjoy lively Irish jigs, heart touching ballads, and some of your old favorites! Response to ticket sales for our first St. Patricks Day concert was overwhelming. Thank you!